More than 20 years ago Chantay Jones was diagnosed with Systemic Lupus Erythematosus (SLE), generally referred to as Lupus. Lupus is a systemic autoimmune disease that affects any part of the body, attacking the body’s cells and tissue. Chantay’s lungs are shrinking and hardening due to the disease causing Secondary Pulmonary Hypertension, making it very hard for her to breathe. 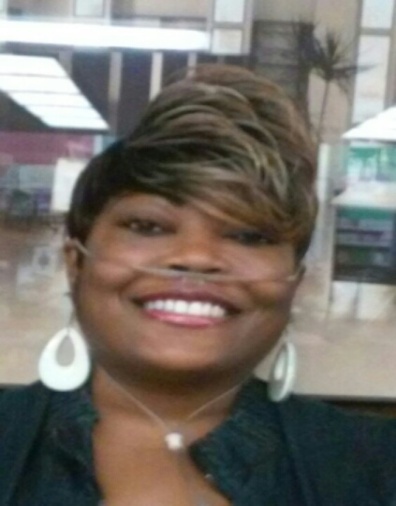 Chantay is in desperate need of a lung transplant and financial support to make it happen. Chantay longs to regain her active life which included working as an Office Coordinator. She also wants to continue loving and nurturing her two son’s Dontae and DeVonte’ along with her grandson Dontae Jr., whom she adores. Chantay is loved by many. She is a very kind person who can brighten any room. Transplants are lifesaving, but very expensive. Chantay has been unable to work due to the disease; therefore the financial expenses will be overwhelming for her and her family. As her caregiver, she and I will have to relocate for three months or more depending on how fast she recuperates after transplantation. The living expenses will add up to over $5,000 not including the very expensive anti-rejection medications that she will have to take for the rest of her life. To help with the financial burden of Chantay’s uninsured expenses, a fundraising campaign in her honor has been established with HelpHOPELive, a trusted nonprofit organization that has been providing community-based fundraising guidance to patients and their families for more than 30 years. All donations are tax deductible, are held by HelpHOPELive in the Southeast Lung Transplant Fund, and are administered by HelpHOPELive for transplant-related expenses only. Please consider making a contribution by clicking donate now. Chantay enjoys life and wants to continue living so please join us to ensure that she does. Chantay’s hope has diminished because of the monetary aspect of this life giving process. We can restore Chantay’s hope by joining together donating towards her after care. Thank you for your contributions, they are greatly appreciated. I want to thank everyone for contributing! Your compassion has been very uplifting both mentally and spiritually. I haven't seen you lately, at yoga, but I have been thinking of you. I also posted this on Facebook. You are one brave and beautiful lady!